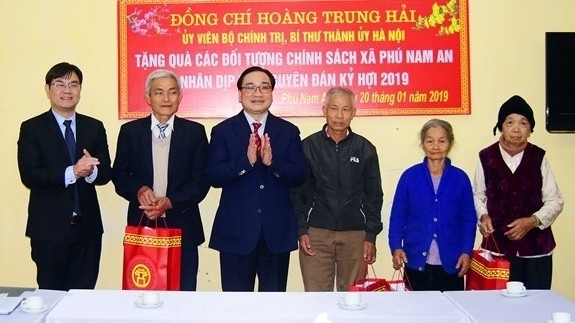 On January 20, Politburo member and Secretary of Hanoi municipal Party Committee, Hoang Trung Hai, visited and presented Tet gifts to local people in Phu Nam An commune, Chuong My district. 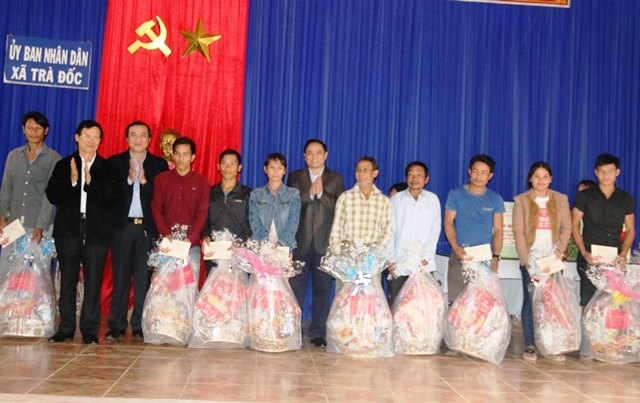 At the office of Phu Nam An commune, Politburo member Hai gave Tet gifts to six needy households. Speaking at the event, he highly praised the efforts by the local authorities and people in constantly striving to achieve high achievements in caring for local socio-economic development. 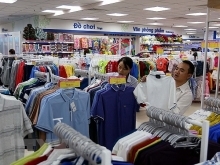 The same day, in the mountainous district of A Luoi in Thua Thien - Hue province, Politburo member and Deputy Prime Minister, Truong Hoa Binh, joined local leaders and representatives from the Vietnam Red Cross Society to present 100 Tet gifts worth VND1.1 million each to the poor and Agent Orange victims in A Luoi. Politburo members Nguyen Van Binh and Pham Minh Chinh also toured Tuyen Quang and Quang Nam provinces respectively to visit revolutionary contributors ahead of Tet. Politburo member and Minister of Defence, General Ngo Xuan Lich, visited and gave Tet gifts to former Defence Ministers Pham Van Tra and Phung Quang Thanh. 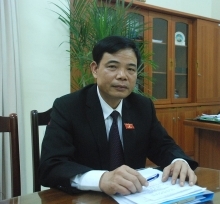 Meanwhile, in Da Nang city, Politburo member and Secretary of Ho Chi Minh City Party Committee, Nguyen Thien Nhan, visited and conveyed Tet wishes to the former leaders of the central coastal city on January 20.